At The Cook's Garden we take great pride in providing exceptional service and understand the importance of attention to detail to ensure your guests have an enjoyable and memorable experience. If you are booking for 10 or more special arrangement may apply. Please read group arrangements. With our private garden, courtyard and stylish dining room, The Cook's Garden is an ideal venue for your special boutique wedding. A romantic garden ceremony enjoyed amongst friends. 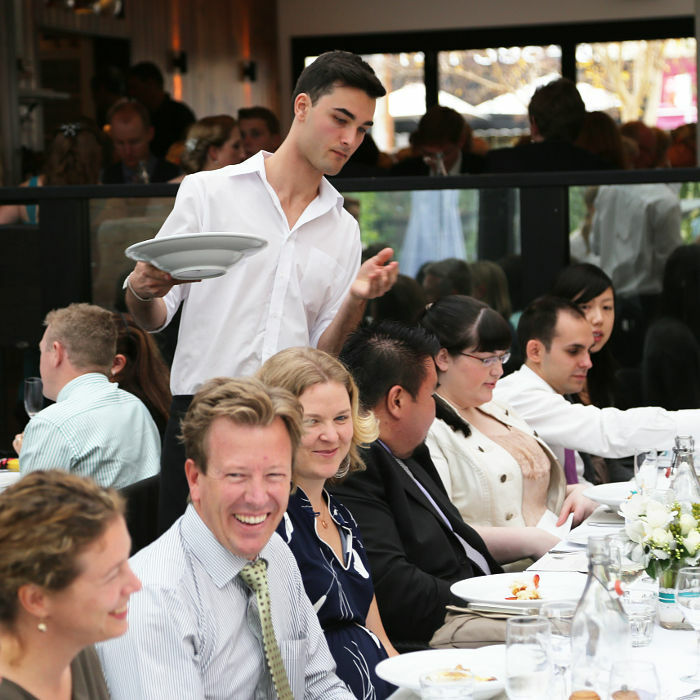 We can cater for your next Corporate function, family celebration or party of any kind. Whether a sit down meal or canapés and cocktails by the garden, our experienced team can accommodate your wishes to ensure your event is a success. Our contemporary and flexible cuisine, use of the finest of ingredients, fresh seasonal produce and a passion for creativity which will impress your guests and delight. Beverage options to suit your requirements are available and include an extensive selection of premium wines and beers, spirits and non alcoholic beverages. The restaurant dining room can comfortably seat up to 50 people, the courtyard up to 40 and a private bar option is available for groups of up to 50. We can also assist with other aspects of your event or function including audio visual, lighting, entertainment, floral arrangements and photography. We would be pleased to help plan your function. Contact us for further details or to book a function.